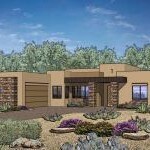 Boulder Pass Subdivision Tucson AZ is a new development near the Golf Club at Dove Mountain. This new Dove Mountain subdivision is a joint venture between True Life Communities of San Ramon California and Miramonte Homes of Tucson AZ. 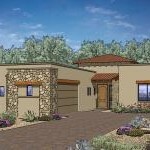 This new development will offer 88 lots in a gated community next to the Golf Club at Dove Mountain. Formerly the Ritz-Carlton Golf Club. 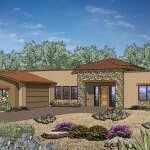 Boulder Pass Subdivision Tucson AZ will have six floor plans to choose from. 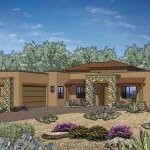 Each floor plan is designed to blend with the desert landscape and provide stunning views of the Tortolita Mountains. Dove Mountain, in Marana AZ, is fast becoming a resort destination with the Ritz Carlton Resort is the crown jewel. Boulder Pass at Dove Mountain will be just a short drive from the Ritz Carlton and all the amenities is has to offer. Lots are situated to offer views of the Dove Mountain golf course, Tortolita Mountains and Tucson Mountains to the west. 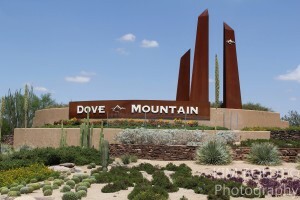 The Dove Mountain area offers many lifestyle choices and activities. Hiking, biking, golf, and just plain relaxing are at the top of most people’s lists. The Gallery Golf Club is just minutes away and the Gallery Health Club provides a fitness center, swimming, and access to personal trainers. 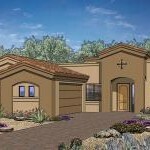 Floor plans at Boulder Pass Subdivision Tucson, AZ will range is size from 2,170 square feet to over 3,100 square feet. Prices start in the mid $400,000’s and go to over $600,000 in the largest home. Each of the six-floor plans will have 3 exterior elevations to create a distinctive home for every homeowner. 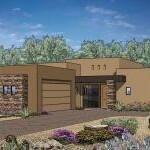 If you are considering the purchase of a new construction home, Boulder Pass may be just what you are looking for. Also, we are constantly meeting with the new home builders to stay abreast of all new home communities in Tucson. We would be pleased to discuss your home buying interests and the many Tucson, AZ lifestyle choices available to you. If you are interested in receiving email updates on homes coming on the market that meet your specific criteria or general interests, we can help. We are a top Realtor team in Tucson, AZ. Read our client testimonials. We look forward to making your home buying or selling a home an enjoyable experience for YOU!